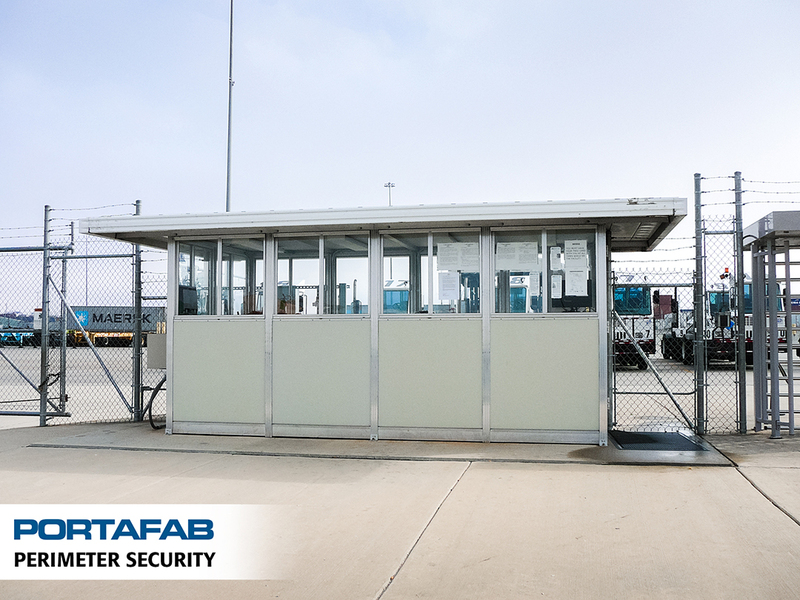 Our durable, pre-assembled buildings are ideal for security booth applications. 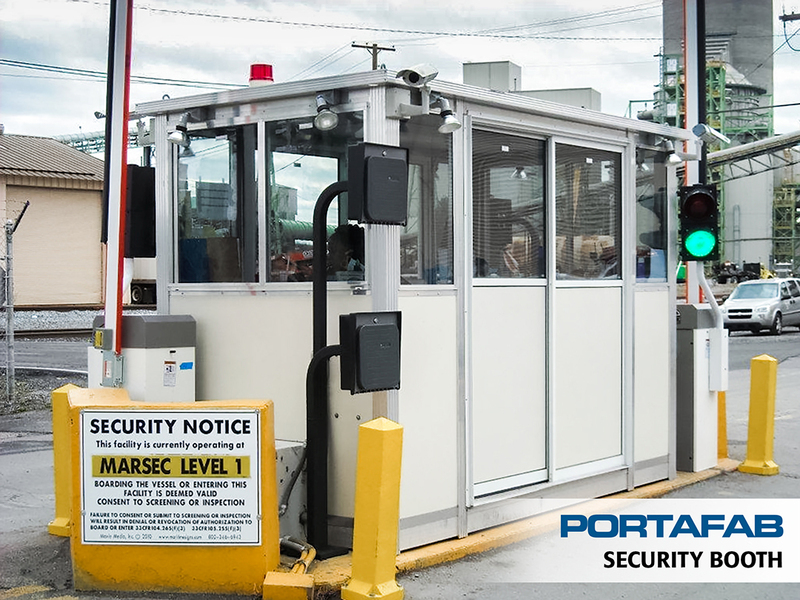 These booths can be located inside or out, equipped with the latest in security technology and integrated with access control and gate control systems. By supplying your guards with a security booth, they will have a home base for their operations and they will be protected from the elements instead of having to sit out in the hot or cold all day. You can also visit our online price generator (link at right) for immediate pricing information (standard size booths only). Security booth outfitted with gate control systems. Security booths can be outfitted with spotlights, surveillance cameras and other specialty equipment, as needed.